1) If your domain is currently locked, log in to previous providers web portal and unlock the domain. This allows Transfer Requests to be processed. 2) Log in to your Lowcosthosting account. 3) Upon logging in, you should see "Check Availability of a New Domain". 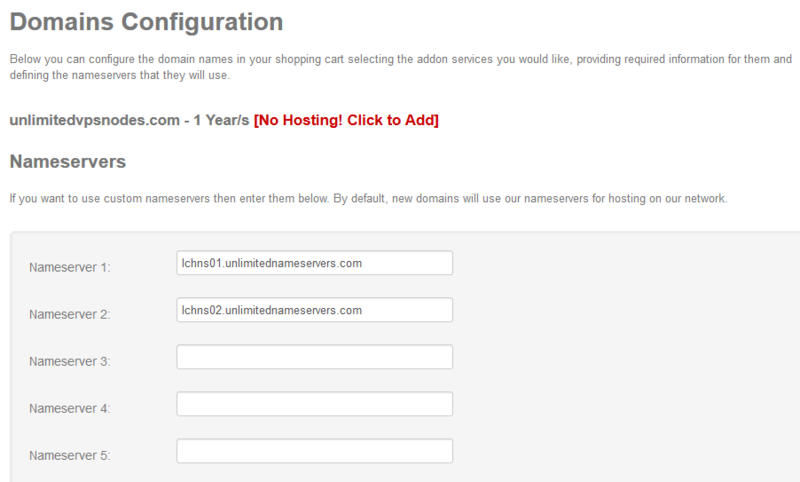 4) Type your domain into this box and click on "Transfer". 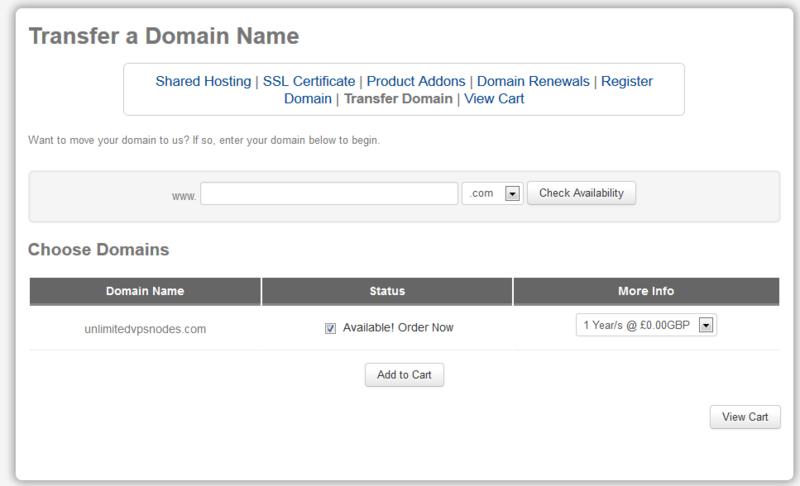 5) The domain will show as "Available! Order Now". 7) The domains use our nameservers automatically, however feel free to use your own and click "Update Cart"
8) You will now be shown a summary of the order, click "Checkout" to finalise the order and the transfer will be initiated.